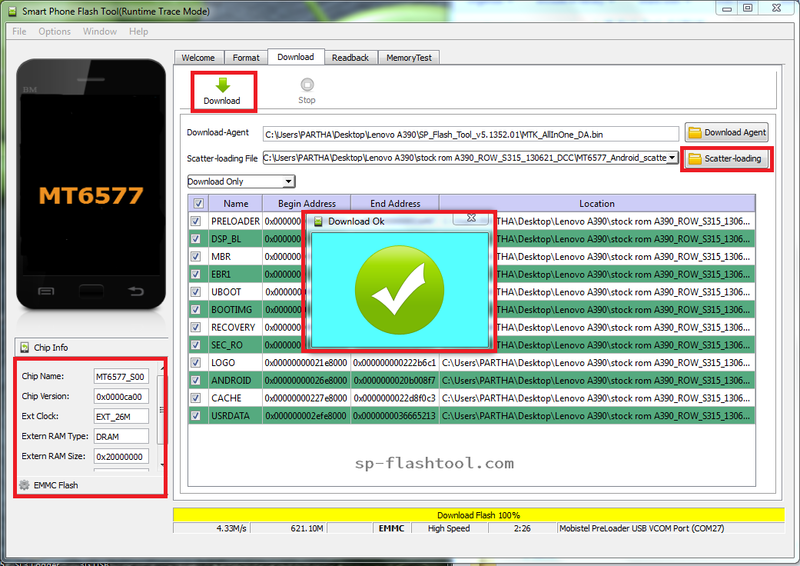 With Smartphone Flash Tool you can flash any Custom or Stock Rom to your Android Smartphone Easily. SP flash tool is very easy to use. Download SP flash Tool Latest Version. Features of Smartphone Flash Tool. Flash Stock Rom or Custom Rom. with SP Flash Tool you can easily flash any Rom to your Android Phone. just download Stock or Custom Rom you want to flash, Run SP flash Tool, load Scatter file, Connect phone with PC and and start Flashing. Please Check how to use SP Flash Tool for complete tutorial. through format Smartphone you can Format any Android Smartphone running on MediaTek Chipset. 0 Comment "Smartphone Flash Tool 2018 Latest Download"